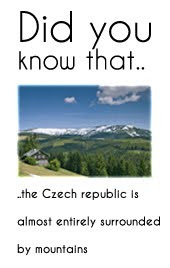 Czech language for foreigners Czech language for foreigners for free: Learn Czech language: Is Czech difficult for you? Learn Czech language: Is Czech difficult for you? You may know that every second Czech word can be derived from something and that's why I always say that the Czech language very simple. Really. Czech language has one big advantage - written text is the same as the spoken text. I mean, for ex. in Swedish language you do not read the word nurse "sjukskoterska" how you see it on your screen, but "chujukvoteška". In Russian, you can't say "Russia", but "Rasýja". Well, back to the point. How I said, every second-third Czech word can be derived from something else. I will show you a few examples for better understanding. Czech Republic Weather - 33°C in the shade! Learn Czech language with TV!